The digital environment brought so many changes to various industries across the globe. In the financial sector, financial services providers have embraced artificial intelligence (AI) and robotic process automation to streamline their business processes. Many banks and financial institutions are offering robo investment services to clients for better investment portfolio management. But do individual or retail investors really need a roboadvisor? AI intervention is a controversial issue, particularly because it poses a threat to the human workforce. Today you see robots being introduced as part of the wellness programs in the healthcare sector. Perhaps the use of robotics to care for people is justified. There is an obvious lack of allied medical professionals that can be assigned in hospitals and healthcare facilities. Socially assisted robotics could make a world of difference in the healthcare industry. But the question of roboadvisors providing better financial advisory services than humans beg some answers. Financial institutions see a host of tangible benefits by adopting these new technologies. They can accommodate voluminous data, save on manpower costs, expedite credit evaluation, improve credit risk management, and ultimately boost profits. By integrating AI and other emerging technologies in the financial space, the system looks smarter. The end result is an enhanced customer experience. Every financial institution wants to gain the competitive advantage. If the technologies can attract more customers, enhance productivity, and improve customer service, the investment is all worth it. When it comes to financial advisory, human fund managers may not totally agree. For one, it belittles their capacity and competence as financial advisors. Hence, the head-to-head competition between human advice-givers and computer-driven algorithms is inevitable. The benefits of automated investments can’t be ignored. Technological advances in about every industry are intended to provide convenience and ease-of-use. That is what robo advisory services bring to the table. Robo sites have caught the fancy of investors especially those who are tech-savvy who are after convenience. Convenience is the main factor why a robo advisory service is a viable alternative. Although the emotional element is absent, robo advisors can devise an investment plan based on data and information provided. The approach is systematic and supported by comprehensive back-testing modules to come up with the best asset allocation or balanced investment portfolio. To further illustrate, shifting to a stock market online trading platform prevents the trader from being overcome by emotions. An algorithm-based investment recommendation is always objective. In a way, it favors emotionally-charged investors. It relieves them of the investing pressure. On the other hand, the human manager possesses the emotional discipline to influence investment decisions. Algorithm-based financial planning is incapable of providing that key component. Beyond convenience and the emotional element, investors also look at the pricing structure. Traditional wealth management services may cost higher because of the ‘specialized’ human services. However, robo advisory services can be equally expensive and the minimum investment requirement is even higher. Therefore, investors should also compare the related fees since it becomes material when computing for the net returns on your investments. The annual fees charged by robo online sites cover their high set-up and maintenance costs. Initially, online investment sites catered to high-net-worth individuals as they need to build a sizable volume in order to sustain operations. Lately, the fees have been reduced to make it competitive, if not reasonable and affordable. The objective is to capture a wider retail investor segment. Pricing is relative so it’s up to the investor to decide whether to do business with a robo advisor or fund manager. Since the decision to invest rests entirely on the investor, there is actually no conflict, to begin with. The rivalry between the tech-approach and human assistance is imagined. For as long as both financial advisory services are professional and high-grade, then it’s good for investors. Regardless of preference, investors should win out in the end. An investor can pass on the extensive research work and quantitative analysis to a rob advisor. You can save time and effort when choosing assets or investment instruments. Also, younger investors with lower seed capital for investment may not be ready to seek professional financial advice. Banks use robo-advisors to reach out to this growing bunch of clients. Newbie investors may choose robo advisors rather than do the actual investing themselves. 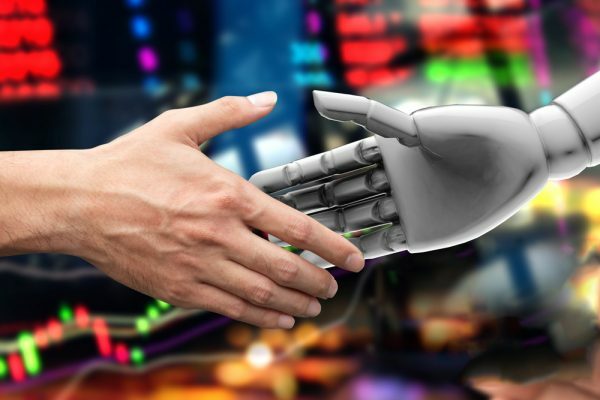 Roboadvisors in Singapore have been gaining steam in an environment where the prospective investors are mostly smartphone and gadget users. The investment activity is relaxed as well as expedient. But is there no reason to meet your your financial advisor in person anymore? There are currently six major roboadvisor services available in Singapore for retail investors. MoneyOwl, Singapore’s first bionic advisor, is also open for business to retail investors. Clients can compare and choose from various investment options that are aligned with their risk profiles. As an example, OCBC Bank launched their robo-investment service in collaboration with fintech startup We Invest who is the developer of the technology. The minimum investment required is S$3,500 in case account holders are interested to invest. Looking back, the financial services industry generally favored the wealthy over the less-affluent investors. The coming of age of roboadvisors is very timely. The growing number of online financial advisors is a sign that those that have been previously overlooked can be served better this time.